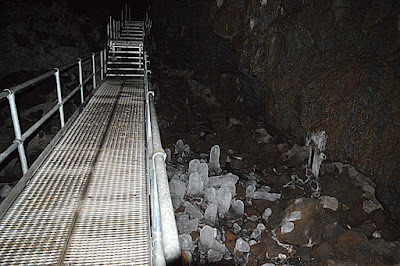 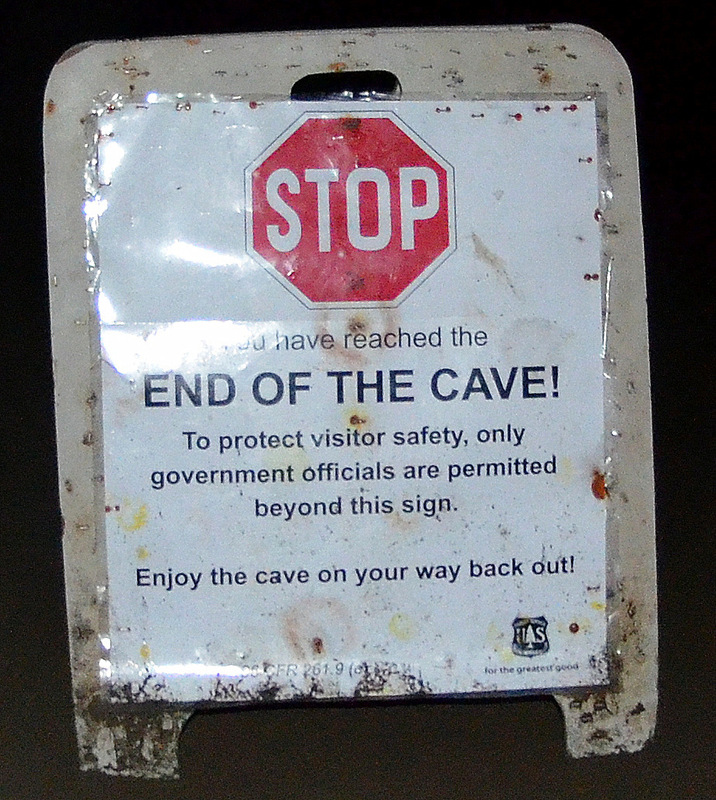 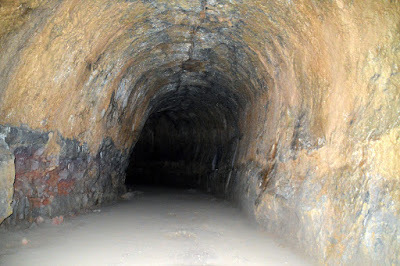 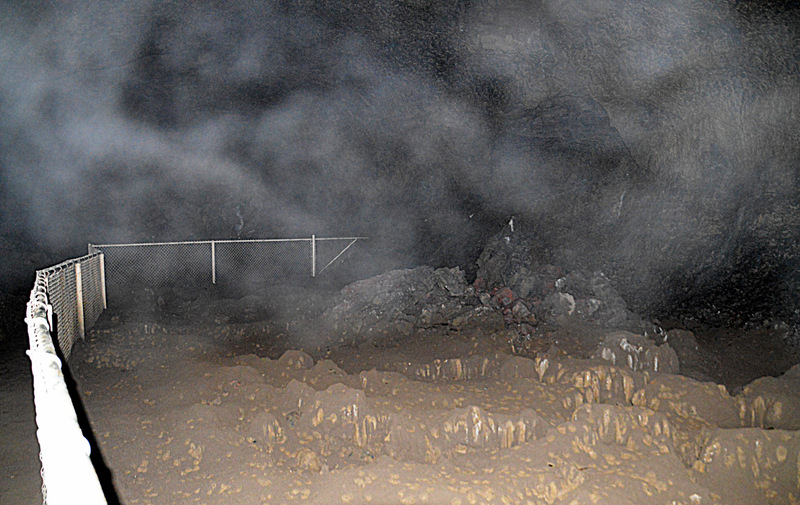 A walk in Lava River Cave, a 4400' long lava tube south of Bend OR. 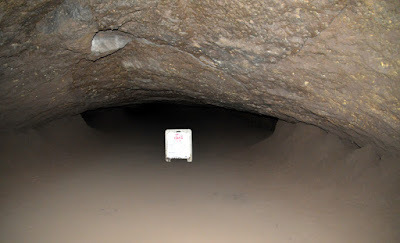 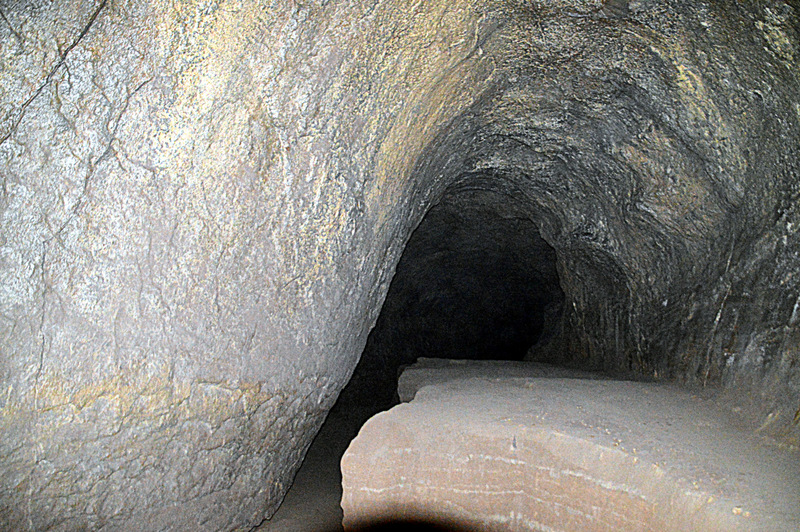 there is no other lighting in the cave. Cloud-like thingies are breath condensation. 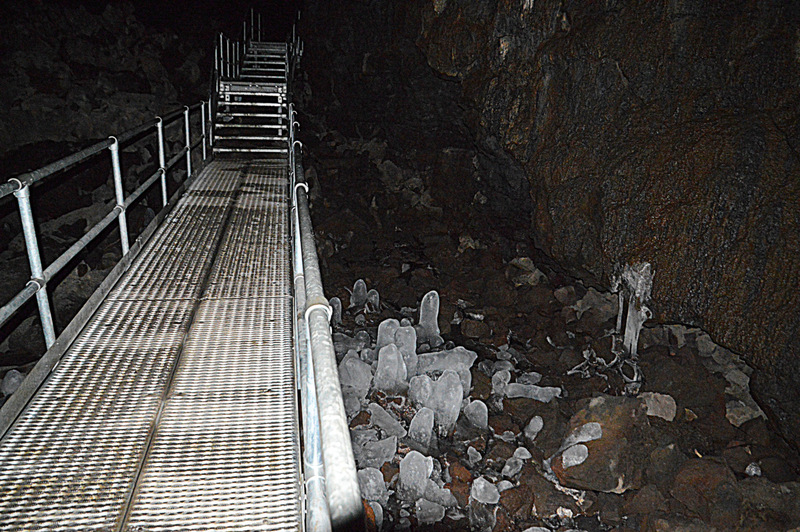 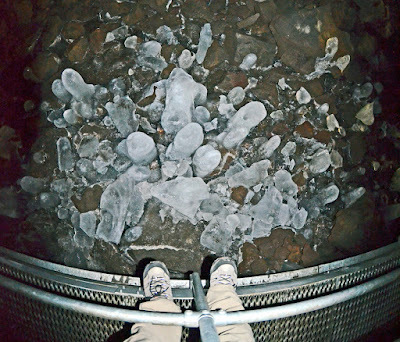 The ice "stalagmites" are an early-season treat, they're usually gone by June.